A tent can make or break your trip, be it backpacking, camping or even cycling. The last thing you need at the end of a long, hard day, is a faulty tent. On outdoor explorations, strength is important and the quality of your tent will contribute to how much strength you have every morning. If you wake up wet from a raging storm that passed by in the night, I’ll bet you’re going to feel exhausted all day. Not only is that unpleasant, it’s not safe when you are traveling alone (or with one other). Being alert is very important when traveling like this. 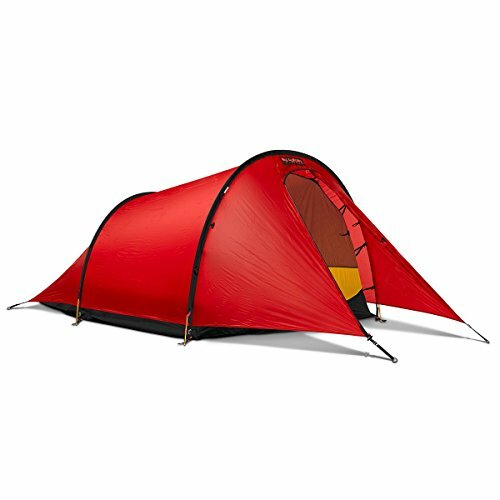 The Hilleberg Anjan 2 is an excellent backpacking tent for those looking to explore and stay safe. It is a three-season tent that has all the features you could possibly need to stay comfortable, dry and happy. Its small size also makes it space efficient for users. The Anjan tent also comes in two color options: red or green. This goes far beyond aesthetic. Depending on your location, these colors will help you blend into your surroundings, keeping you concealed and safe. 3 Season Backpacking: The Anjan is a three season backpacking tent with a thirty square foot floor area. This makes it ideal for one or two people. The tunnel design provides strength and comfort. Smart Coloring and Design: It features a bright yellow interior wall. This is more than just a stylistic choice. It is deliberate and meant to keep users from feeling claustrophobic. It also prevents them from seeing rain or wind. The Anjan also features reflective strips on it’s exterior. This can help users find it in the dark! Large Vestibule: Furthermore, the Anjan tent boasts a large vestibule (considering the overall size of the tent). This is great for keeping gear dry and protected. Good Ventilation: The Anjan tent has excellent ventilation, which can be a relief on hot days but a burden on colder ones. The Anjan tent is a three-season tent, meaning that when temperatures drop its time to pack it away! Set up time and simplicity will depend on the experience of the user. Those who have set up a tunnel tent before will have no issues, but those who are doing it for the first time may struggle a little. It’s a very simple design. Two poles are inserted through the sleeves to form a “U” shape. The tension from the guy lines will then hold the tent upright. The Anjan is not a freestanding tent. It needs that tension in order to stay upright. The Anjan is also a tent that pitches from the outside. This will keep the inside dry if it needs to be set up in harsher weather conditions. It also has different set up options depending on the season and/or desires of the user. For example, the entire inner tent is removable. During fall days when the bugs are gone, but the hot summer days remain, users have the option to only pitch the exterior of the tent to save space and weight when packing. The fly can also be used as a tarp, which is a nice dual functionality. The options are endless. The Anjan is surprisingly spacious, considering it’s size. It has a 38-inch peak height and the design allows room for two people to get in and out easily. The yellow interior wall prevents the tent from feeling claustrophobic, adding to the “spacious” feel of the tent. The interior floor measures 51 inches wide at the front door and 41 inches at the back. It is a total of 86 inches long. The large vestibule boasts a size of 14 square feet. 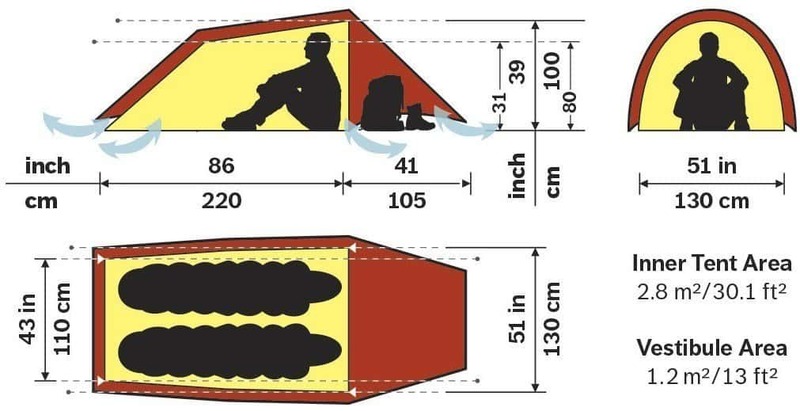 Those who are over six-feet may find this tent to be too short for them, depending on how they sleep. If you like to stretch out, you may find your feet hitting the end of the tent. The condensation from this area could make you or your sleeping bag wet. A few users have also complained that the Anjan is a bit heavy, considering it’s small size. They recommend taking it on tandem explorations over solo ones, especially if you’re backpacking. It might be a bit much to carry, along with all your gear, by yourself. As mentioned earlier, the Anjan is an excellent three season backpacking tent. Overall, it has great weather resistance. A reinforced vestibule zipper keeps most rain and wind out. The fly itself is completely waterproof. This causes the floor to come up higher than usual in order to protect from splash back. 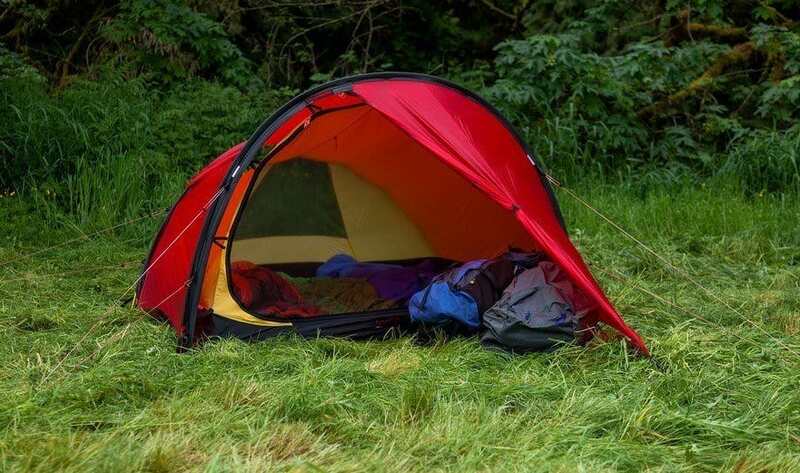 The inner tent is made of a solid nylon material. This is designed to block blowing sand or snow and it sheds condensation. However, users have reported issues with elements of the design when it comes to weather resistance. The lack of a storm flap is a definite negative. Others have complained that the fly is abnormally high off the ground. This allows wet weather to get in if it’s prolonged. The biggest issue is condensation. While the tent keeps outside weather out, it builds up a huge amount of condensation. If there is no wind to shake that, the condensation can drip down into the interior of the tent, causing both users and gear to become wet. The durability of the Anjan tent is considered one of its strong points. Metal rings on the four corner guypoints go a long way to reduce wear. The Anjan also uses strong plastic and metal hardware for friction adjustment and connection points. 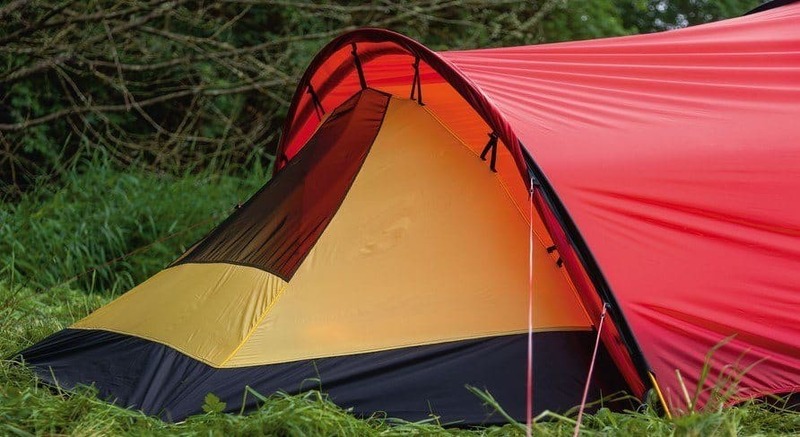 The floor fabric is much thicker than the fly fabric (something not many tents can boast) and the tent itself comes with a spare pole section and pole sleeve in case of emergencies. The only place where the Anjan falls short is with the stakes. They are small and poorly made (which is a surprise coming from Hilleberg), which isn’t good considering the tent relies on them to stay standing. The only really seem to work effectively in compact dirt. I would highly recommend buying a pack of your own stakes if you plan to buy this tent. Despite being on the more expensive side, the Anjan tent is a great value. It has a strong performance rating and boasts a competitive price for what it offers. Be sure to check out this listing for the latest pricing. This is a tent that will cover all of your needs through every season except winter. While there are less expensive options on the market, be sure to do your research. The Anjan tent will be tough to beat when it comes to size and features. The Anjan tent is one that is ideal for those who plan to use it during backpacking, cycling or camping trips. It is a bit heavy for its size, but not remarkably so. It’s probably best to take it on two man expeditions rather than solo ones. Don’t let the structure fool you. This is a very good tent that will not let you down.